What Medical Bills Does Workers Compensation Pay? You will need good medical treatment to recover from a serious workers compensation injury. Fortunately, the insurance company should pay for that medical treatment under Georgia’s workers compensation laws. The insurance company has to pay for that medical treatment, but there are special rules that apply. This article will discuss many of those special rules and how they can affect the medical treatment you get. 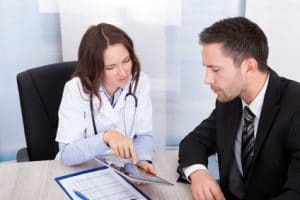 What special rules apply to Georgia workers compensation medical treatment? The special rule that affects your medical treatment the most is a limitation on which doctors can treat your injury. In most workers compensation cases, you cannot just pick any doctor you want. You have to select a doctor off of your employer’s workers compensation list. This list of workers compensation doctors is normally known as the panel of physicians. There are two different types of panels of physicians. The most common type of panel must include at least six doctors. The law requires that at least one of the doctors on the panel is an orthopedic surgeon. To get your medical treatment paid for by the insurance company, you will probably have to pick a doctor off of this list. That doctor becomes your authorized treating physician for your workers compensation case. When you treat with that doctor for your workers compensation injury, the insurance company should pay the bill. What if I need treatment by a medical specialist? Georgia workers compensation law requires the workers compensation insurance company to pay for specialized medical care. This could include injections, testing, physical therapy, surgery, or other medical procedures. Many times, your authorized treating physician may not perform the medical treatment you need to recover from your injury. So, how do you get workers compensation to pay for this medical treatment? In Georgia, your authorized treating physician can refer you to a medical specialist for treatment. When the referral is from your authorized treatment physician, the workers compensation insurance company should pay for the specialized treatment. This part of the law can allow you to see other doctors and still have the bills paid for by the insurance company. What happens if the workers compensation insurance company refuses to pay for medical treatment I need? Unfortunately, I see this a lot. The doctor says that you need a certain procedure or test. But, the insurance company says they will not pay for it. What can you do about it? There are a few different ways you can push to get medical treatment or testing done when the insurance company refuses to approve it. 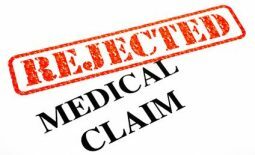 I discuss different strategies for overcoming medical treatment delay and denial by insurance companies in this article. Is there a time limit on my right to medical treatment? Yes. Georgia workers compensation law has a few different time limits that can apply. One of them is know as the “All Issues Statute of Limitations”. This time limit requires you to file a claim within one year of your injury. There are some exceptions to this time limit, but the safest thing to do is to make sure you file a claim within a year. If you do not file a claim on time, you could lose your entire workers compensation case. Another time limit you need to know about is the time limit for getting medical treatment. 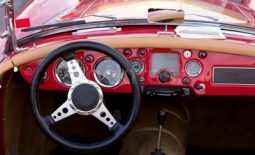 In most cases, Georgia law provides that the insurance company only has to pay for medical treatment that takes place within 400 weeks of your date of injury. This means that workers compensation likely will not have to pay for a surgery or other medical treatment that occurs 8 years or more after your injury date. There are some exceptions to these time limits. 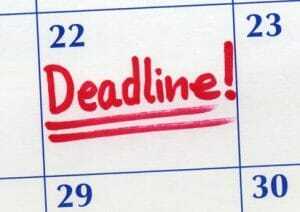 But, the best thing to do is make sure that you do not miss one of these deadlines. The rules of Georgia’s workers compensation system can be confusing. Many people do have questions. The important thing is to make sure that you ask those questions and get answers. The answer to your question often will depend on the specific facts of your case. Discussing your case with a workers compensation attorney provides an opportunity to discuss the details of your injury so that you can receive the right answer. I provide free workers compensation consultations so that you can have the opportunity to get answers to your questions before deciding whether you need to hire an attorney. If you would like to set up a free consultation with me, just call our office at (770) 214-8885 or complete and submit our consultation request form.